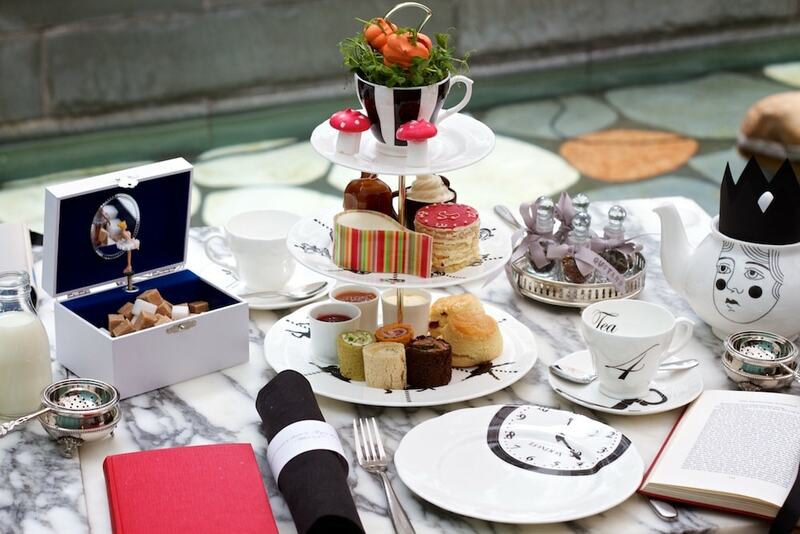 We're ready to be served the most indulgent, stylish cucumber sandwiches and macaroons. 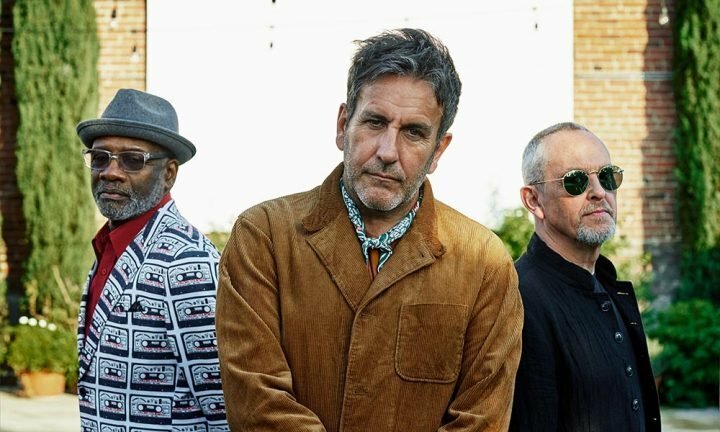 Do we know anywhere nice? Of course we do! Let them eat cake! And scones. And diddy cucumber sandwiches with no crusts. 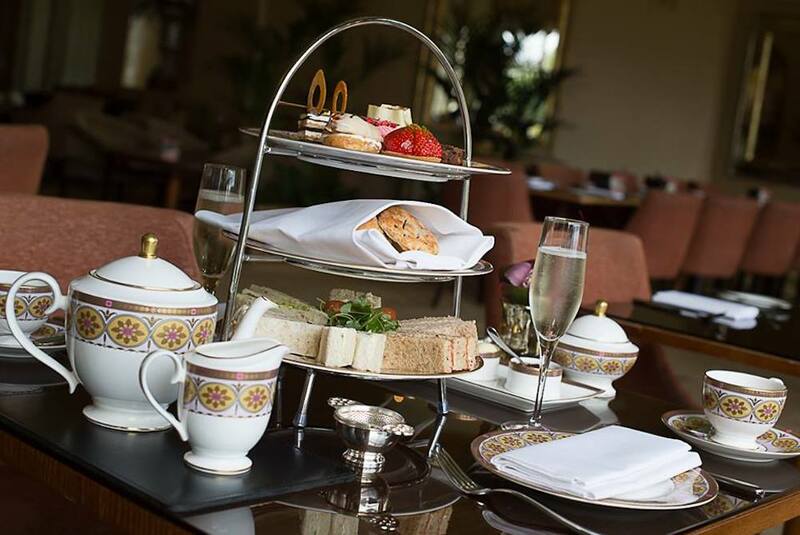 We’re spoilt for choice in Bucks and Oxon when it comes to afternoon tea. Shall I be mum? Must admit I haven’t tried this one yet but was alerted to its amazingness by a Muddy reader (thank you! We love your tips – keep ’em coming). 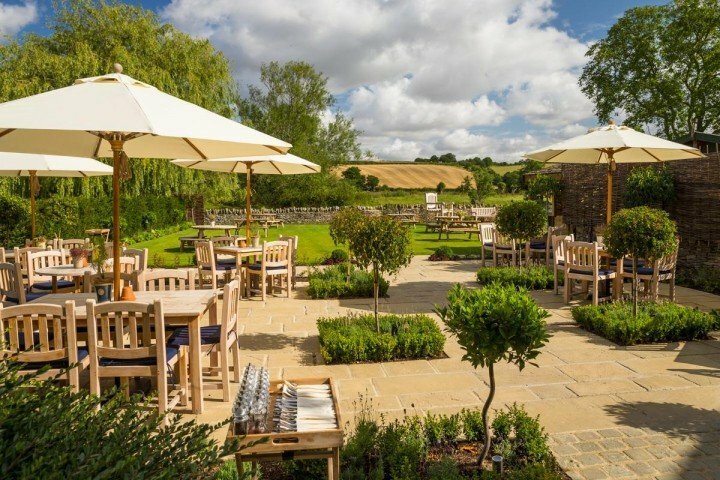 It looks totally charming, with the Earl Grey poured in the rustic, remote setting of this farmhouse café (and catering company) in the little village of Oakley on the Bucks/Oxon border. And it’s great value too, with teas from £15-£20 and a children’s tea at £10. I’ll be sure to drop in this summer. Many Oxford hotels are over-priced tourist-traps but I’ve always had a soft spot for the elegant, classy Old Parsonage. 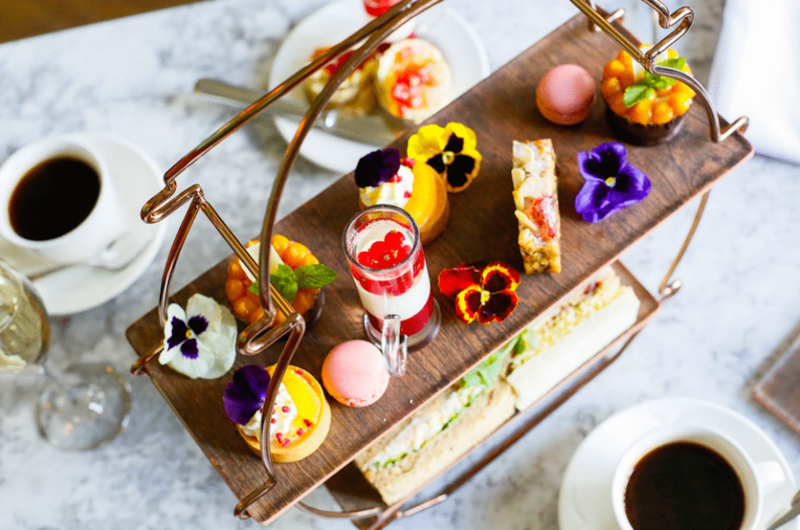 They do a “Very Savoury” afternoon tea (a great idea because often there’s surfeit of sweet stuff), plus a “Very High Tea” which makes me feel like a character in an Enid Blighton novel and, of course, a Champagne tea. Posh, indulgent and and perfect for a treat. For those times when you can only bear to eat your mini strawberry tartlets surrounded by 18th century splendour in 3000 acres of grounds (we all have those days, right? ), there’s Eynsham Hall, near Witney. In the summer, their tea is served outside on the sunny Champagne terrace, whether or not you take yours with Champagne. We do. Obviously. Any excuse to loiter on the prettiest restaurant terrace in our ‘hood. 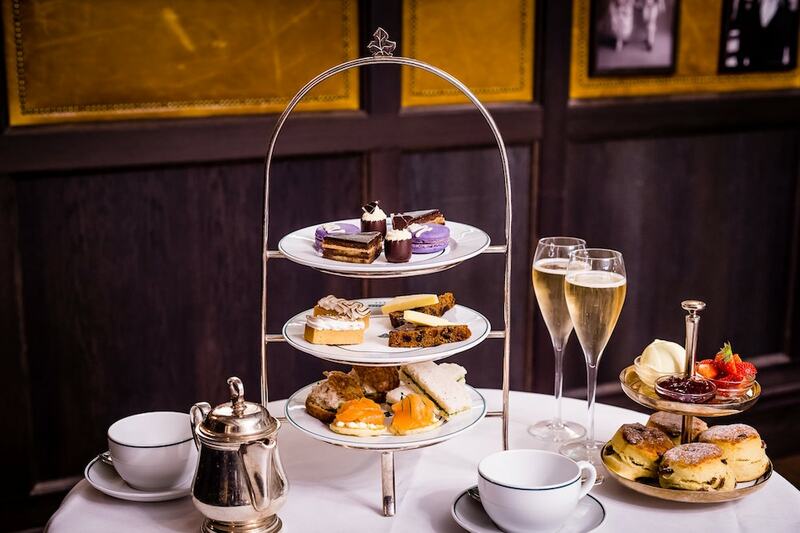 And afternoon tea is a smart option if you’re struggling to get a dinner reservation at Marlow’s dining hotspot (or just want to go to bed early!) 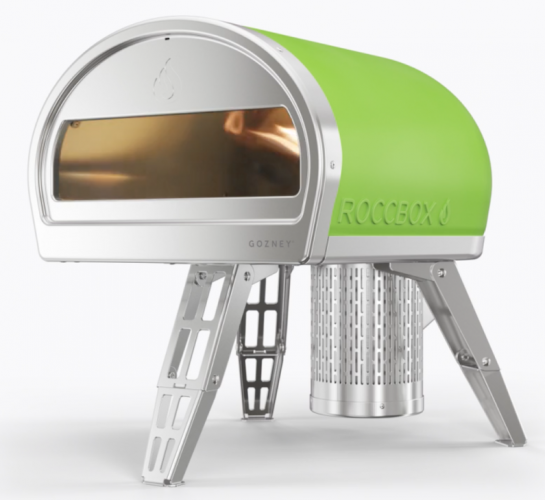 Full marks for the pleasing twists on the trad dishes – load up that stand with marinated cucumber and dill sandwiches and truffled chicken brioche rolls pronto. 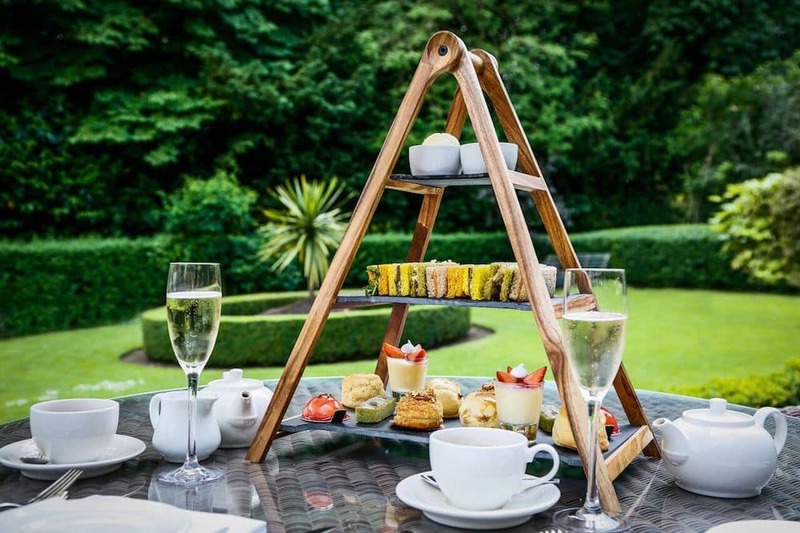 It’s easy to overlook this former Victorian coaching inn at the gates of Waddesdon Manor but if you’re seeking somewhere away from the National Trust crowds to scoff a scone or five, The Five Arrows is a very good bet. Their afternoon tea is all white tablecloths and fine china in the formal dining room but they made the Mudlets feel very welcome here when we visited, promptly bringing colouring-in books and pens and modifying their order so their beef sandwiches didn’t come doused in hot horseradish. The full tea is a reasonable £20.50 per person, with my two happily sharing one between them. At this exceedingly English tea room in the middle of Chipping Norton your scones come served on gorgeous mismatched vintage china and cakestands. 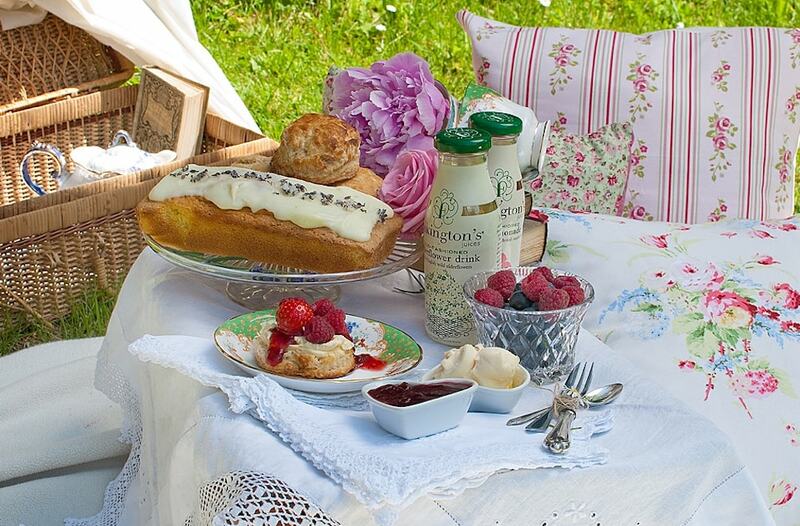 You can drop by for an impromptu cream tea or pre-book for the full Cotswolds Luxury High Tea. 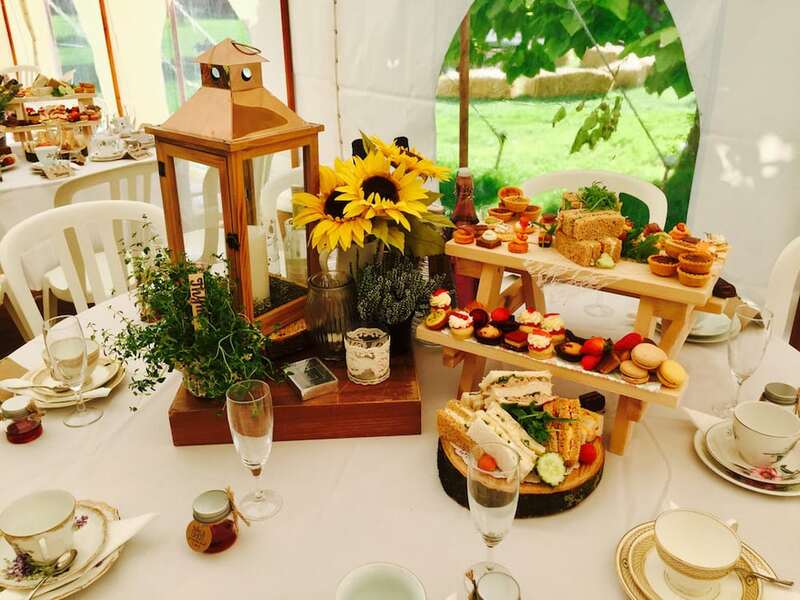 The owners – previous Muddy Awards winner, it should be noted – also offer an afternoon tea catering service for weddings, parties and events – can they cater Muddy’s HQ’s daily 4pm tea break, we wonder? 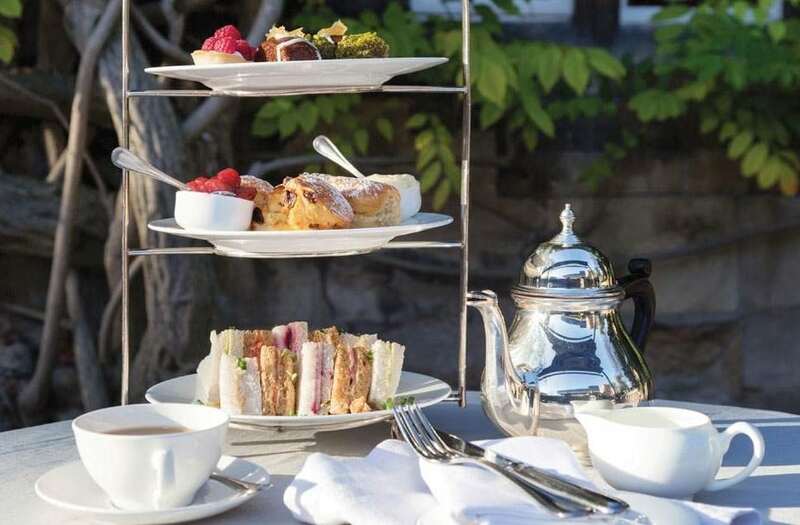 What’s lovely about Stoke Park’s luxe, classic afternoon tea in The Orangery is how well they cater for children – it’s in Conde Nast Traveller’s top 10 child-friendly retreats, no less. Their Little Stars under-12s tea, with its cute teddy bear biscuits, is a very reasonable £13.50, while adults may like to plump for the Champagne version. Well, in these refined 5 star surroundings, it’d be rude not to. This one is well worth the jaunt into the Smoke – and only a 20 minute walk from Marylebone. The Alice In Wonderful-themed feast is a visual as well as a gourmet delight, with its ‘Drink Me’ smoothies in diddy glass bottles and menus hidden within vintage books. They also do a ‘tipsy’ version of afternoon tea from 7-9pm, involving a flight of four cocktails alongside your sarnies. Oh yeah! We know about a fantastic afternoon tea at Restaurant 56 at the Sudbury House Hotel Faringdon – food memories for many years to come!